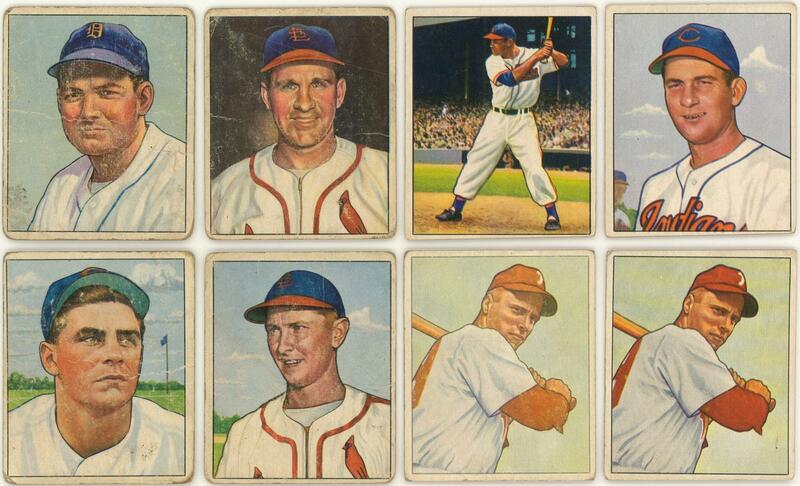 Offered is a 297-card collection of 1950 Bowman baseball cards including Hall of Famers. Highlights include: #'s8 Kell (PR), 11 Rizzuto (GD), 35 Slaughter (GD), 39 Doby (VG/EX), 40 Lemon (VG), 62 Kluszewski (FR), 71 Schoendienst (FR), 75 Campanella (GD), 77 Snider (GD), 84 Asburn (2: VG, GD), 112 Hodges (VG/EX), 139 Mize (VG/EX), 148 Wynn (FR/GD) and 217 Stengel (3: EX, 2 VG/EX). Mostly VG- to VG (balance is lesser).